If you are thinking about staying in Cornwall with the family for a few days over the Christmas Holidays you will be spoilt for choice for festive events to visit with kids of all ages, from meeting Father Christmas and his elves in magical grottos to ice skating at Eden! This event is bound to be a winner with all the family and located just down the A30 it is within easy reach of Badgers' Sett. The kids will love meeting Santa and the cute little elves in his magical grotto while everyone gets to enjoy the antics of the naughty monkeys and merecats unwrapping their early christmas presents along with their other animal friends at this ever popular zoo! There is also a festive candy cane trail for the the little ones to follow, plus a chance to boogie on down with the elves at the zoo's silent disco. Ho, ho, ho ! Take a trip on Santa's magical Christmas train this Year at Bodmin and Wenford Railway, it's just a short drive down the A38 from Badgers' Sett. 'All Aboard' ! The kids will be enthralled throughout the hour long trip on this beautiful old steam train, where they get to meet Santa and if they have been very good .... will receive a present from the man himself ! There will be plenty of photo opportunities to capture this enchanting time and create some wonderful memories to look back on in later Years. 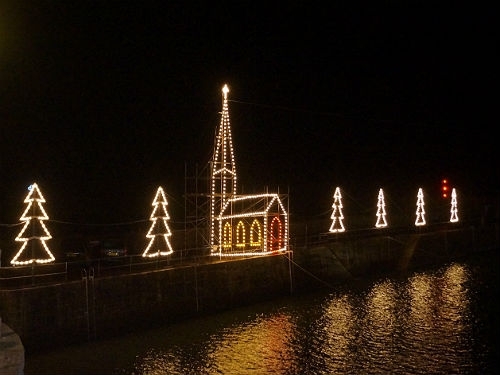 A definite 'must do' for the whole family over the Christmas Holidays - The Mousehole Lights never fail to amaze, they are simply stunning and attract thousands of visitors each Year! Wrap up warm and take the kids along to see this colourful spectacularl, They will adore the cute cats, glowing serpents and festive christmas decorations twinkling and reflecting around the pretty little harbour. Traders join in the fun, with many extending their usual opening times, allowing visitors to to browse the locally produced goods on sale and refuel on the fantastic variety of food and drink available to suit all tastes ! 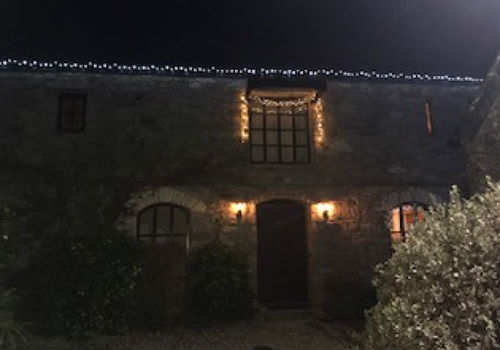 Nestled in a pretty valley and surrounded by beautiful moorland countryside, yet just five miles from the A38 and six miles from the A30, Badgers' Sett Holiday Cottages are positioned in a central location within Cornwall, enabling easy access to the best events that the County has to offer throughout The Festive Season. We are family friendly and of course your dog is very welcome to join you as two of our cottages (Rosemary and Lavender) are dog friendly. The cottages have just had a makeover and are now showing off brand new stylish bathrooms and gorgeous new floor tiles in good time for this Year's Christmas Holiday, they all have wood burning stoves, so with this in mind, you can be assured of a cosy, comfortable and relaxing break away from it all during your time here at Badgers' Sett. Our welcome baskets will contain tasty, locally produced treats plus a bottle of something festive for guests to enjoy and the little ones will receive a present left by Father Christmas! Click on one of the cottage links below to check availability and price then treat yourself and family to a few days away from it all during the Christmas holidays here with us at Badgers' Sett Holiday Cottages. 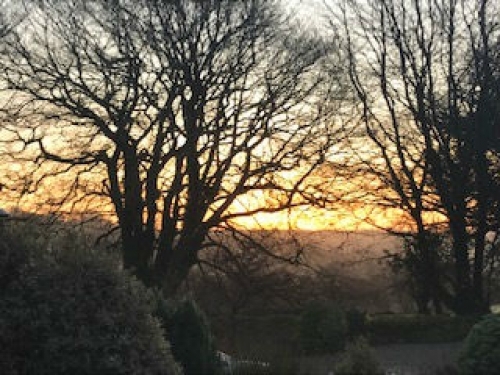 Call Julie on 01579 320741 to enquire about a Christmas Break at Badgers' Sett.